Donna L. Carter, 83, of Bryant, AR., passed away May 3, 2018, in Benton, AR. She was born November 25, 1934, in Omaha, AR. to Ira Mattox and Maggie Barker Mattox. 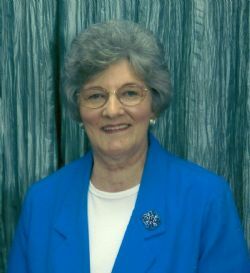 She was a member of First Baptist Church of Bryant and graduated from State Teachers College with a degree in education. She taught in the Bryant Public School System for many years. She is preceded in death by her husband, Robert C. Carter; her parents; a son, Mark Carter; one brother, John Mattox; two sisters: Roberta Richardson, Frances Huffman; 2 grandchildren: LeAnn Harris and Shannon Harris. She is survived by one son, Curtis Carter (Jennifer) of Benton, AR. ; a daughter, Marsha Harris of Alexander, AR. ; four grandchildren: Brian Harris (Jessica), Abigail Carter, Elizabeth Carter and Jonathan Carter; two great grandchildren: Savannah Harris and Stetson Harris; six sisters: Evelyn McDonald of Rockdale, Texas, Bea Hamon and Virgie Poor of Omaha, AR., Joyce Arnold (Clyde) of Ridgedale, MO., Linda Matlock of Omaha, AR. and Charlotte Barnes (John) of Reeds Spring, MO. ; two brothers: Leon Mattox (Iona) of Warsaw, MO. and Ronnie Mattox (Debbie) of Phoenix, AZ. Funeral Service will be held at 10:00 A.M., Saturday, May 5, 2018, at Roller-Drummond Funeral Home Chapel, 10900 Interstate 30, Little Rock, AR., 72209. Visitation will be 9:00 A.M. at the funeral home prior to the service. Graveside following at 11:00 A.M., Pinecrest Memorial Park.